The world has already seen so many game consoles that have entertained both kids and adults through the years. But as time moves on, more are being developed. In recent years, you’ve seen the Portable Sony Playstation (PSP) as well as the Nintendo DS and Wii. Now brace yourself for the latest one set to be launched in a little over a month. 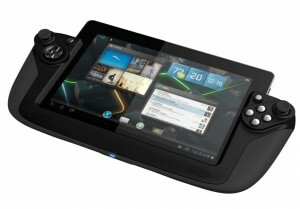 This new device is called the Wikipad Gaming Tablet, considered to be the first combination and game controller. It will be officially launched on October 31 just in time for Halloween and will be sold at a retail price of $499. Compared to the handheld gaming devices, this unit that weights 1.23 pounds is best suited for those who have issues with their vision and who prefer a wider screen. Its HD display size is 10.1 inches wide and the best part is that the screen utilizes a scratch-resistant glass. The Wikipad will run on Android and is wi-fi capable. Other features include a 1GB RAM, 8GB storage, a Micro SD slot, 2-megapixel front camera and 8-megapixel rear unit with autofocus and flash. Not to worry about storage space because if you’re about to reach the 8GB limit, you can always use Micro SD card to extend the storage size for up to 32GB. As for games, this Wikipad gaming tablet can play all games developed for Android. But there’s good news for Sony PlayStation fans worth mentioning here. The tablet is actually PlayStation certified and what this means is that it will be able to play PS games as well. Now, how about that? If you’re a gaming fan who seek a more convenient device, this new Wikipad may be just the one fit for you.